Are you planning a trip to Larnaka Municipal Parks? Please read below all small, big parks new and old where children can enjoy free playing in fresh air. 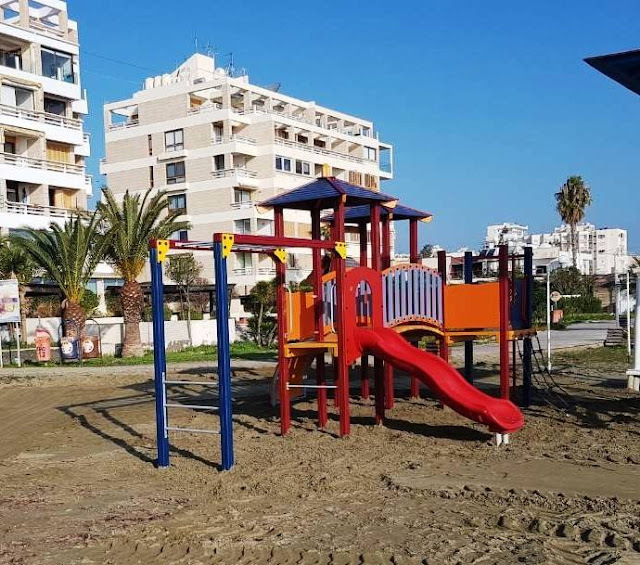 One more project have been completed part of Programme entitled "Enriching and Greening Larnaka's Beaches", in cooperation with Larnaka Municipality. 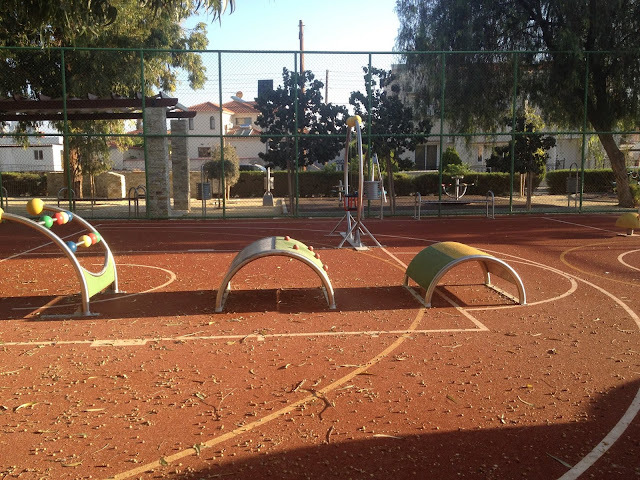 This time, children’s playground toys have been installed at the beaches of Mckenzie, Kastella and T. Mitsopoulos str. 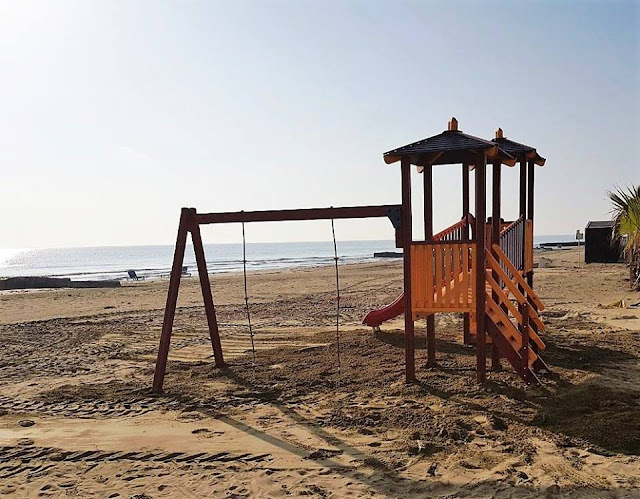 Enjoy a lovely time at the beach while kids will be running and playing!!! This is my first entry for the parks in Larnaca area as this one was the most beautiful play area for kids. 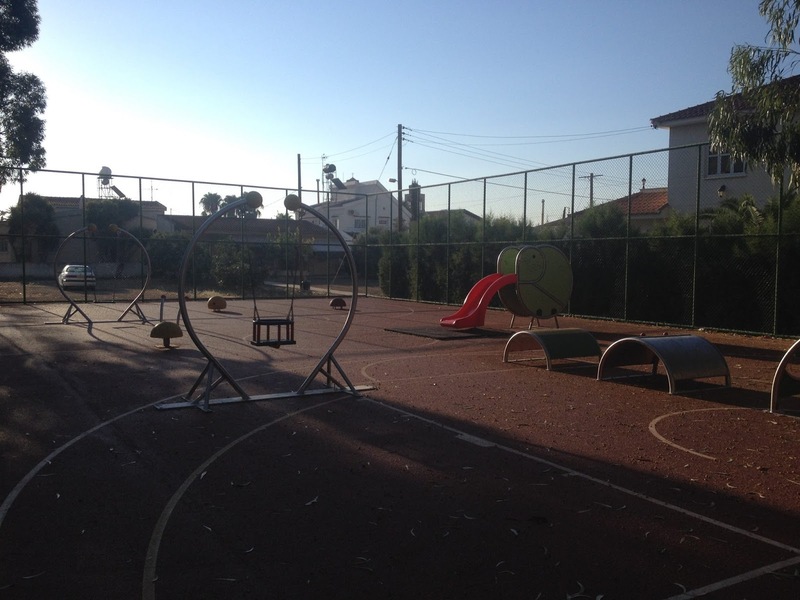 Arradipou playground is a very nice, new and modern outdoor playground situated in the center of Aradippou village (behind the Post Office) very close to center Larnaca. The playground has swings, climbing areas, a tennis table; sea saw, slides for babies and bigger kids , there are also nice benches on the shade. It is a place for hikes, picnics, and the best place for mountain biking in the area, as it is quite big. The forest is very sunny so it is a good place for evening or winter activities. 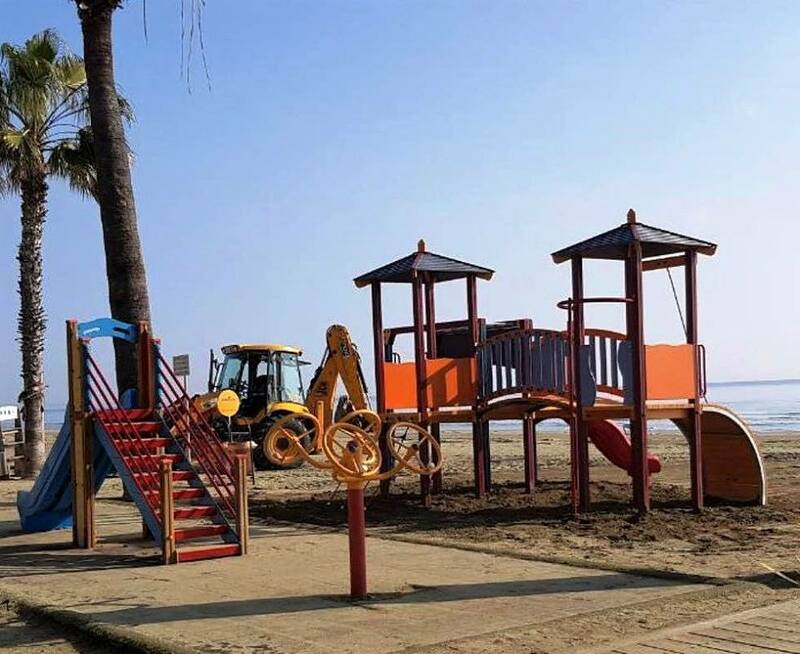 At the CTO Beach Larnaca there is a nice playground on the beach with swings, sea saw, a little house, a slide, the CTO restaurant. There is a very nice beach and a volleyball field in the sand. 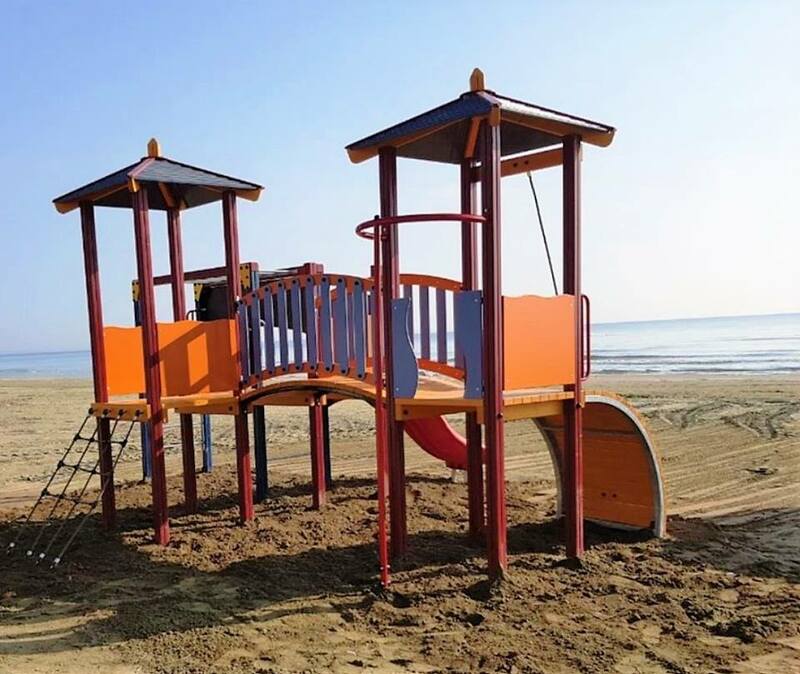 It is a good place also for the winter times when kids could enjoy the sand and playground by the sea. The restaurant is nice and has very good prices. In a large city triangle formed by streets Afxentiou, Kiouppis and Pierides, known as the Public or Children’s gardens, you will find the Municipal Theatre, the Larnaca Municipal Library, and the Museum of Natural History. The playground has swings, wood train, and wood ship, climbing frames, sea saw and slides for all ages. There are also shaded areas but unfortunately not over the playground. 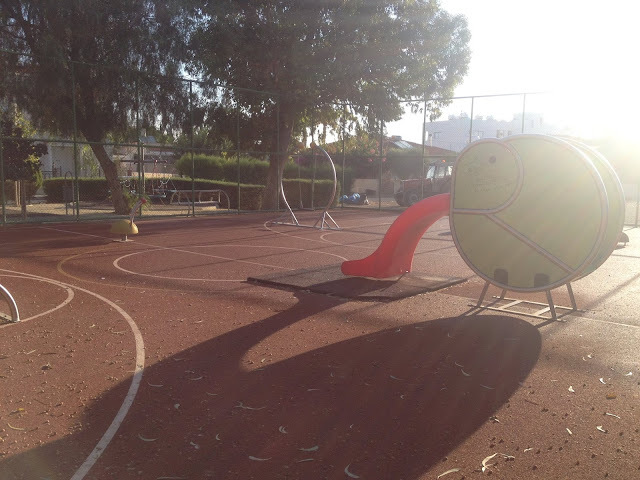 There is another playground close to this one at Old GSZ Stadium.